The Allman Brothers Band will reissue nine remastered classic albums on vinyl on July 22. The project will present the group’s output from 1969 to 1979 on audiophile quality 180-gram vinyl, starting with an expanded 2LP edition of the band’s self-titled 1969 record featuring the original 1969 stereo mix and the 1973 "Beginnings" stereo mix. Remastered by Kevin Reeves, all nine LP packages feature faithfully replicated original album artwork and will be available individually and in a Limited Edition 15LP Collection with exclusive extras in wooden peach crate. The box set offers exclusive collectable extras including a half-stack amplifier-shaped 8GB USB stick with all nine remastered albums as downloadable 44.1kHz 16-bit uncompressed AIFF audio files; four double-sided posters of key art or photos from the albums; nine magnets featuring each album’s cover art; nine guitar picks and buttons with key art or photos from each album; a custom deck of Allman Brothers Band playing cards; a trucker/snapback-style hat; a turntable mat and a microfiber cleaning cloth. July 22 will also see the nine albums available for download in high definition digital audio (192kHz/24-bit and 96kHz/24-bit). 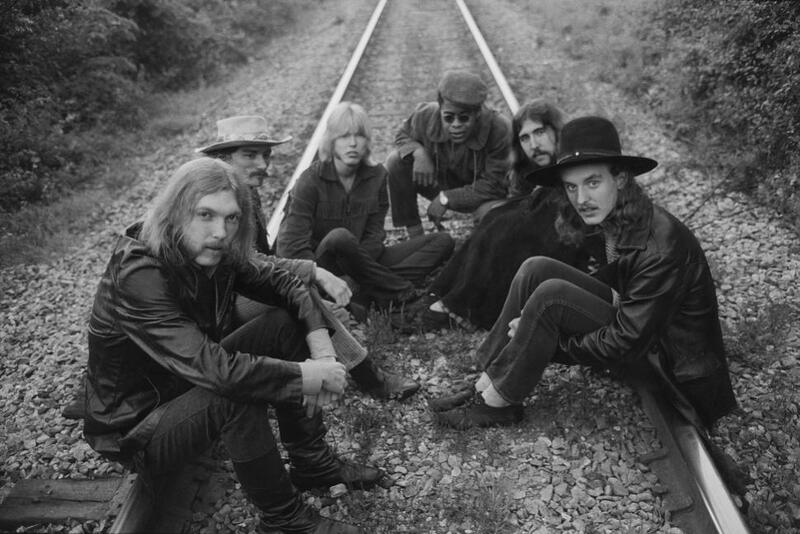 The Allman Brothers Band formed in Jacksonville, FL in 1969 with a sonic mix of blues, jazz, soul and country while building a following from electric live performances featuring jam band-style improvisation with extended instrumental passages. The group survived the losses of guitarist Duane Allman in 1971 and bassist Berry Oakley in 1972 in its first decade through constant touring and regular album releases. Personnel changes continued throughout their career and, after 45 years together, The Allman Brothers Band performed its final show on October 28, 2014 at the Beacon Theater in New York City.